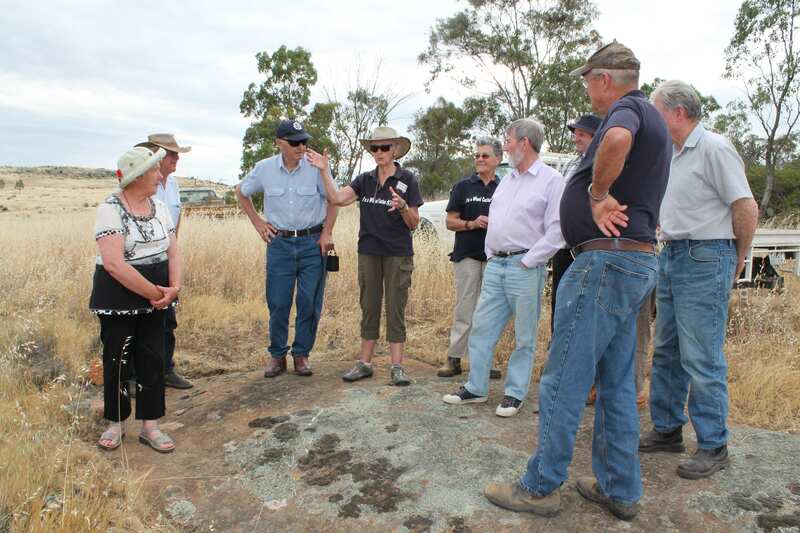 The Loddon Plains Landcare Network Committee of Management had a change of pace for their last meeting, visiting Mt Buckrabanyule located on the western edge of the Network’s area. The Committee members were joined by locals from the Wychitella District Landcare Group, who explained the history and spread of Wheel Cactus (Opuntia robusta) on the mountain. The Wheel Cactus is an invasive noxious weed, which is now listed as a Weed of National Significance (WoNS). The Committee had a first hand inspection of the current state of Wheel Cactus on the mountain and a clear view of the ability of the weed to spread along roadsides and private property. 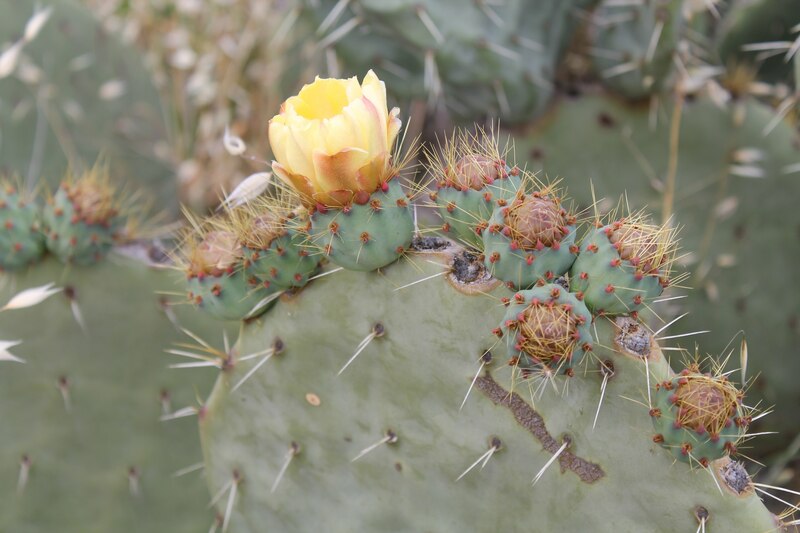 The Network aims to assist the local Landcare group to develop strategies to halt the spread of the Wheel Cactus and empower the group to tackle the infestation. Photos: LPLN CoM discuss the spread of Wheel Cactus with locals from Wychitella District Landcare on Mt Buckrabanyule (left); Wheel Cactus (Opuntia robusta) Flower (right).